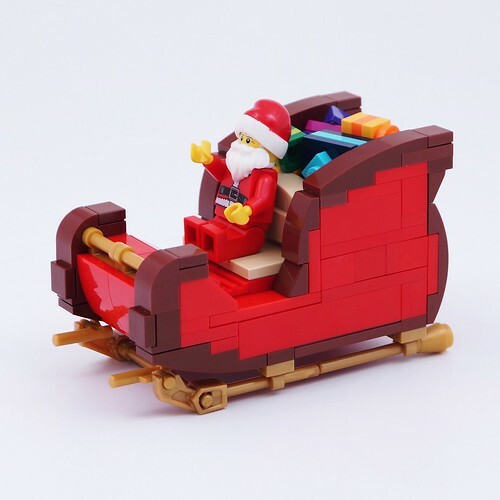 Of course, Santa is not complete without his elegant sleigh to carry presents to children around the world! The month of December is also never complete without several Christmas sleigh designs. This one in particular, built by BrickinNick, reminds me of the one we see in The Polar Express film. This sleigh is elegant, but also looks solid enough to hold the weight of those gifts (plus some milks and cookies, I'm sure). The only thing missing here are some reindeer. Perhaps it's dinner time for them?